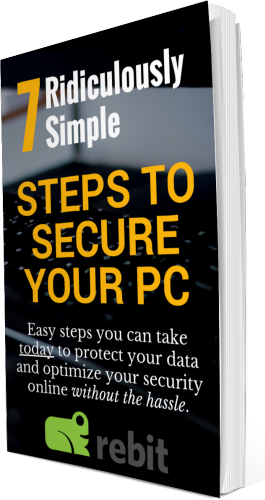 When it comes to securing your PC, keeping your software up-to-date is one of the most important steps you can take. My parents were victims of a devastating ransomware attack. While their Windows and antivirus were both up-to-date, they had several instances of old software applications, which was ultimately the problem. Outdated software can have bugs, vulnerabilities, and incompatibilities with modern versions of Windows and other components. This is particularly true of software that accesses files online or that you use to open downloaded documents. For example, if you download and read PDFs regularly, you want your PDF reading software to be up-to-date. That way, if the PDF file contains something malicious, your reader will be more likely to catch it and prevent you from opening. The same goes for programs such as Microsoft Office, accounting software, and more. Keep these programs updated! How do you check your email? Using an outdated version of Outlook or Thunderbird can be a problem. But if you check your email on Gmail.com or Outlook.com, you know your email system is the latest and greatest. Many applications, whether financial, image editing, or otherwise are now online for this reason. It’s easier to keep users safe and updated. If there is an online version of software that you’re currently using, consider making the change. In order to improve security, Apple, Google, Microsoft, Amazon, and others have created their own app stores. These stores contain free and paid applications, and have minimum requirements application developers must meet to list software. These stores also centralize updates and feed them to your PC as long as you have updates activated. Instead of downloading software from random websites, consider only choosing software from app stores. Before going through and manually updating any remaining software, it’s a good idea to remove software you no longer need. Click Start > Settings > Apps to see a list of software installed on your computer. You can go through the list and click to uninstall. After reviewing what is installed on your machine, go and open any of the software remaining that you do use. Typically programs have a mechanism to update. Oftentimes, you can click on the menu on About > Check for Updates (or something similar). If you cannot find the option to update the software from your PC, you can check your app store or go to the software’s website and check for an update there. If you find the application is no longer supported or hasn’t been updated in awhile, you need to consider the risk this is introducing. Keeping your software up-to-date is a little more challenging than just keeping Windows and your antivirus updated, however it should not be neglected. By changing your habits to working primarily through a browser and through software on an app store, you can greatly reduce vulnerabilities on your system.